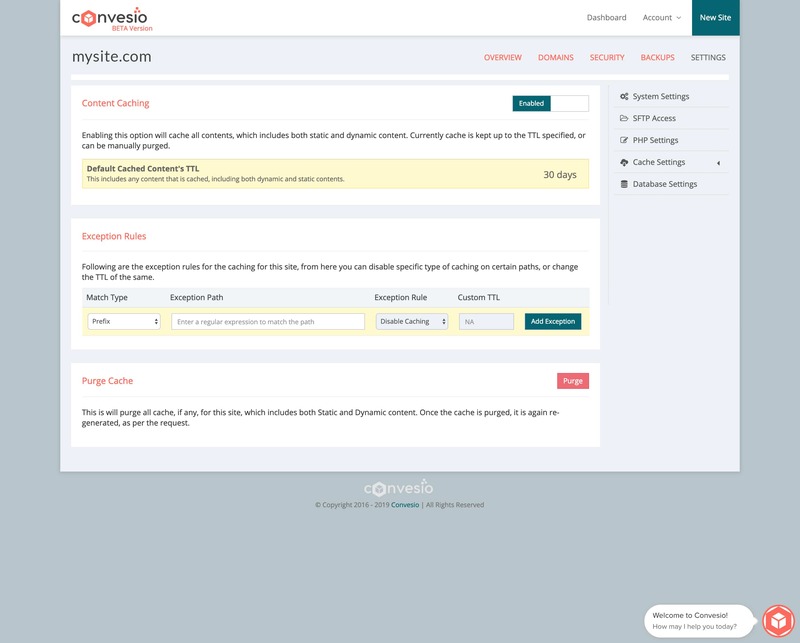 Convesio is the first self-healing, autoscaling, platform-as-a-service for creating and managing WordPress websites. 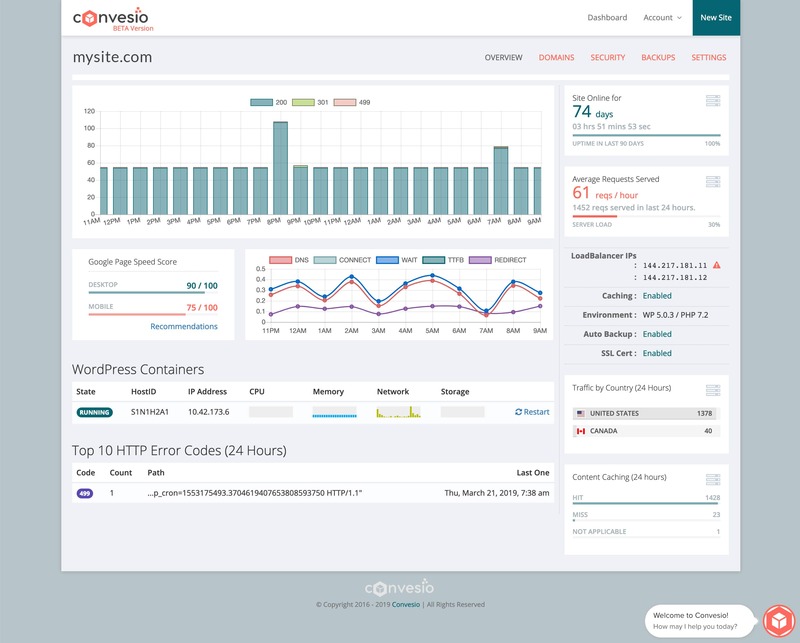 Convesio was founded in 2018 to provide agencies and enterprises a platform for hosting scalable, secure WordPress sites without the complexity of traditional cloud providers. Traditional hosting has not evolved to embrace the latest technology, and design agencies struggle to find scalable, high performance hosting. Cloud infrastructures are costly, complex and out of reach for most agencies. To solve these problems we had to rethink hosting from the ground up, leveraging the latest technology, infrastructure, and development methods. 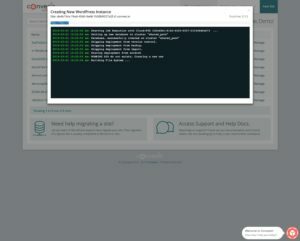 The result is a multi-tiered system architecture that removes all of the single points of failure associated WordPress and scales as needed at each layer of the system. 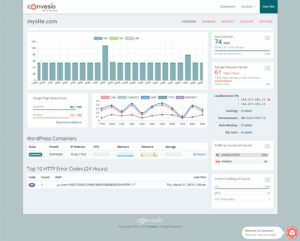 Websites on Convesio outperform traditional hosting providers, reducing the amount of client complaints. 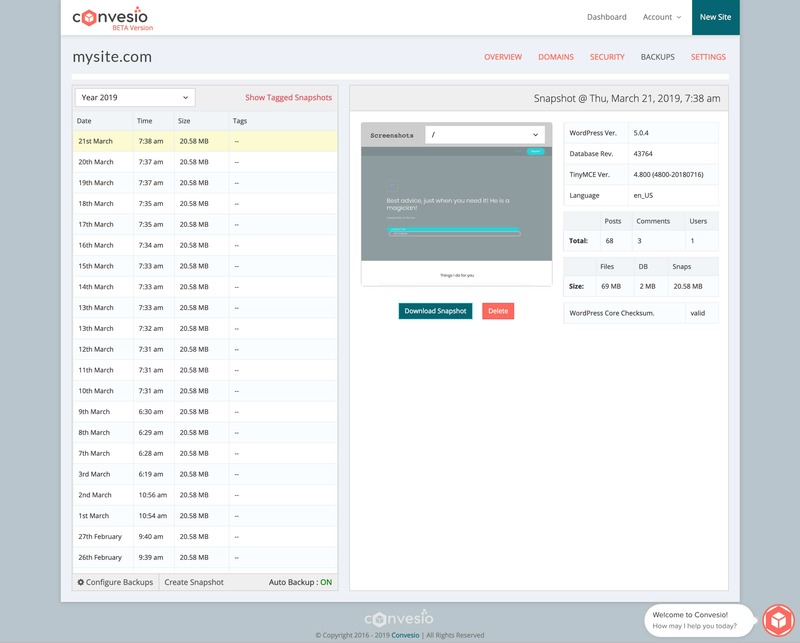 We simplify complex hosting processes, providing a high availability, secure and scalable platform for client websites and streamlined workflows for agencies. Lastly, we enable agencies to differentiate hosting and use it as a true selling point while maximizing hosting profits. Driven, highly accomplished global product and marketing expert with extensive experience in both small, innovative start-ups and large enterprise organizations. Develop and lead globally dispersed marketing and product teams. Lead companies through reorganizations and periods of change and challenge. Responsible for >$100MM P&L and advertising spends. 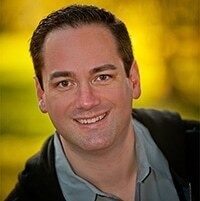 Entrepreneurial leader with a passion for marketing, visionary leadership skills, and a commitment to growing companies. 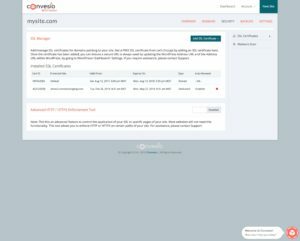 Please do not modify these assets in any way, use our assets as your own identity, or for your own branding purposes. Standard logo for use against light backgrounds. To download this logo, click here. Light logo for use against dark backgrounds. Right click and save image. 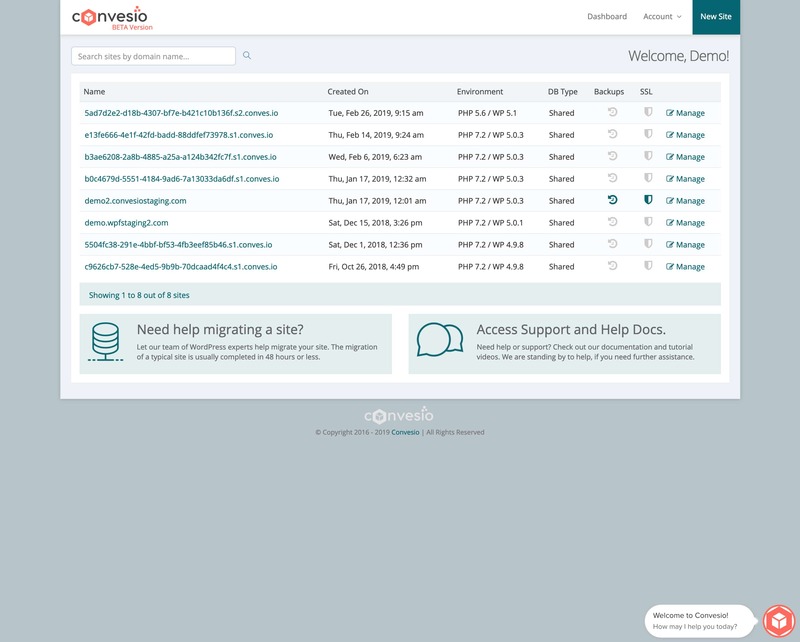 Convesio is a new Docker-powered managed WordPress hosting solution that is self-healing and autoscaling. 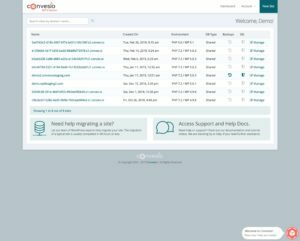 A platform-as-a-service for WordPress sites. 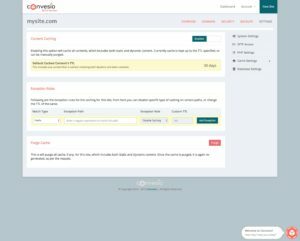 From basic testing, Convesio seems like a solid and easy-to-use hosting solution for being able to host your MainWP Child sites. This is a guest post written by Alex Denning. Imagine this: You’ve been working hard to build up your agency, and have steadily accrued a decent portfolio a decent portfolio of clients.